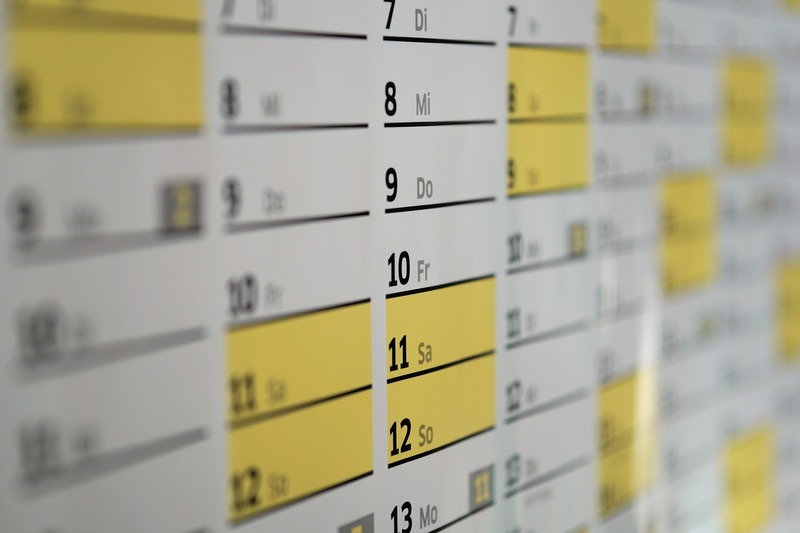 In the real estate business, creating a marketing calendar can mean the difference between occasional, half-successful advertising and spot-on campaigns that take your real estate business to the next level. A marketing calendar can be an invaluable tool in helping you bring marketing strategies to life. Today, we’ll share some tips on the most effective way to set up your marketing calendar and reminders. Sticking to a written plan will ensure your marketing success! The first key to success is consistency – both in creating your marketing calendar and in following through with each of your tasks. Make sure to set aside some time on a regular basis, (once a week or once a month, whatever works better for you) to schedule your upcoming marketing tasks. If your schedule is fairly consistent, you can schedule all of your events in one sitting and set them as recurring calendar events. This will make your schedule easy to remember and will save you time in the long run! Consistently following through on all the aspects of your marketing strategy will increase your exposure and will help you stick in the minds of your potential clients. The more potential clients see your name come up associated with real estate in their community, the more likely they are to contact or call you first the next time they are looking to purchase or sell a home. In addition – once you’ve become memorable, your referral business is bound to increase. Create a master calendar and be sure to schedule reminders that will pop up when your deadline is drawing near. You can plug your dates and reminders into any device you use frequently. For those of you who are often at your computer, this might mean using your Outlook, Google or other email calendar to schedule all of your reminders. For those of you frequently on the go, you can set up reminders on your mobile phone or tablet. Know that you’re a bit forgetful sometimes? Set reminders on multiple devices to keep you on track. Setting up reminders will nudge you into action and will keep you from letting time get away from you and your marketing efforts. Before you know it, you won’t need to rely on reminders anymore – you’ll be doing it by habit all on your own! What do I Need to Schedule? When you structure your schedule around your lifestyle in a way that is convenient and tailored to you, you’re sure to be consistent and successful with your marketing efforts. Building a calendar will also help you balance your marketing and other aspects of your working life. You’ll be surprised at how simple it is to successfully implement your marketing plan once you’ve taken the time to organize your schedule to include your marketing. Sticking to your calendar will keep your business exposure – and client count – high. At Z57, we can help you take your marketing strategy and your business to the next level. Give us a call today at (888) 769-7190 to view a live demo of our proven marketing strategy and learn what we can do for you and your business.